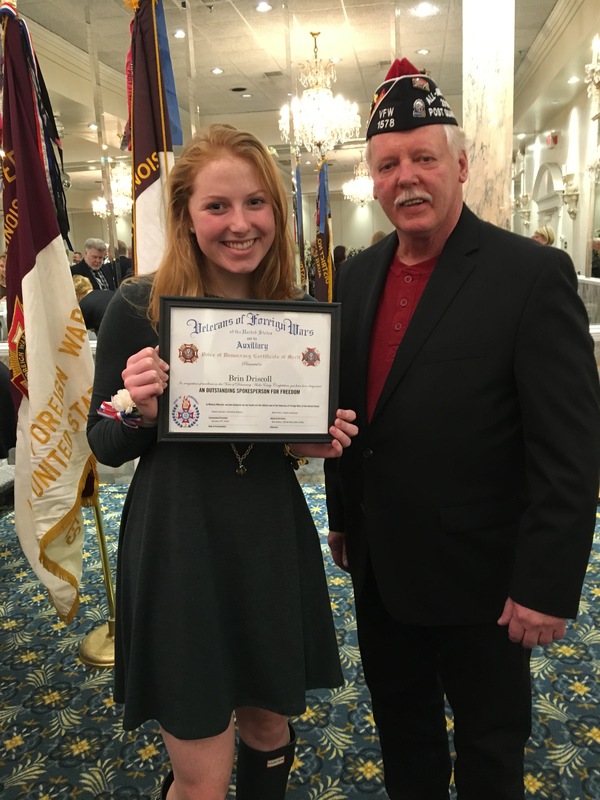 Our Post winner is Ms. Brin Driscoll, a senior from Downers Grove North High School, pictured here with Post member Bob Reichert at the VFW 19th District Awards Banquet on January 12th. She is on North’s Golf Team, has may interests in community service and plans to further her education with a Business Degree. Right now she is looking at Purdue and the University of Missouri. 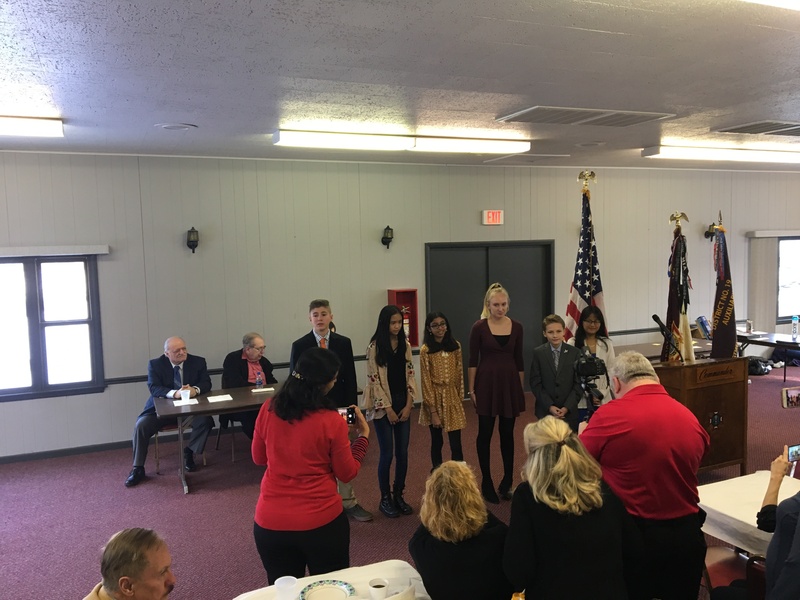 Left to Right: Lauren Burzynski, Helen Parker, Anjali Kota, Ruchelia Lieu, Joshua Poeschel, and Bharat Shah. Missing is Daniel Neau. 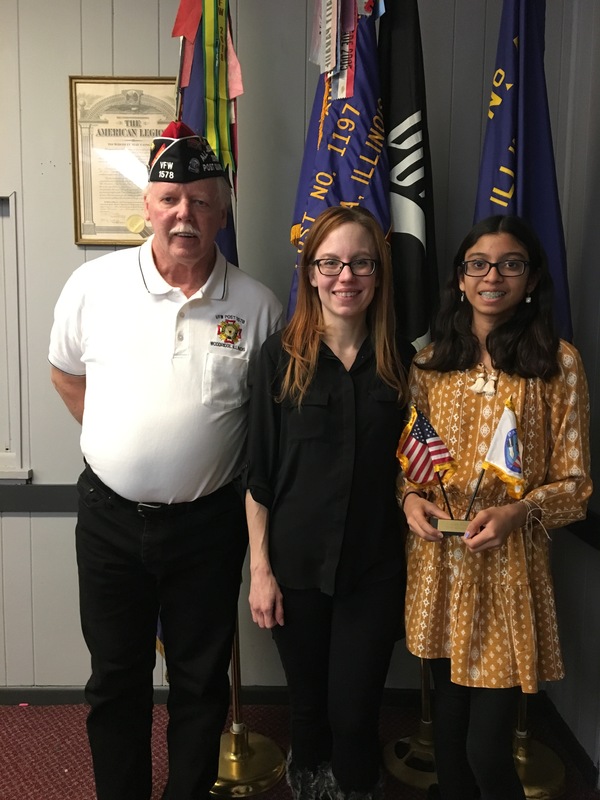 Conducted nationwide, this VFW-sponsored youth essay competition for sixth, seventh and eighth grade students, gives them an opportunity to write essays expressing their views on an annual patriotic theme. The National Association of Secondary School Principals (NASSP) has again approved this contest for its National Advisory List of Contests and Activities. 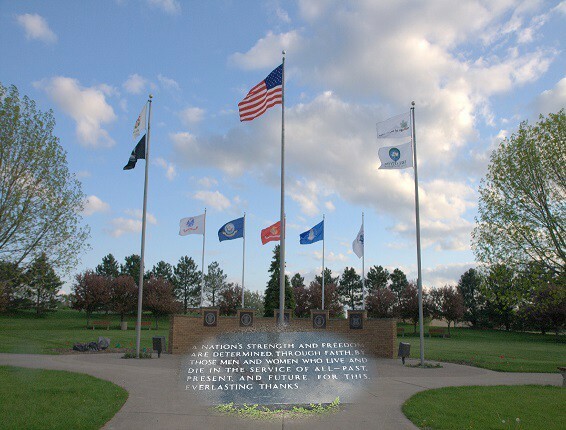 This year’s theme was “Why I Honor the American Flag.” Woodridge VFW sponsors Jefferson Jr. High School and St. Scholastica. Together we had a total of 398 participants this year; 10 eighth graders from St. Scholastica and 388 seventh and eighth graders from Jefferson. We have one winner from St. Scholastica and six from Jefferson. 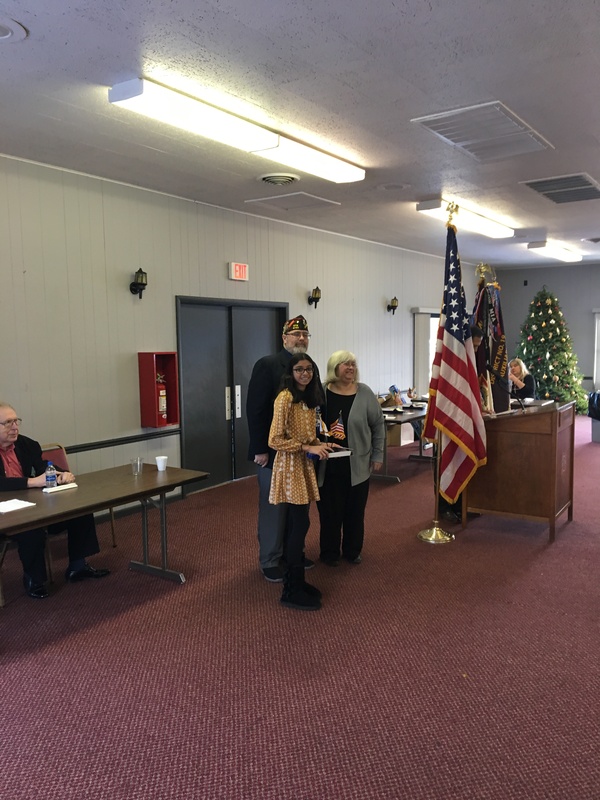 This year we are allowed to send only one Post winner up to the VFW 19th District Awards Party, which will be held on January 27th in Batavia. 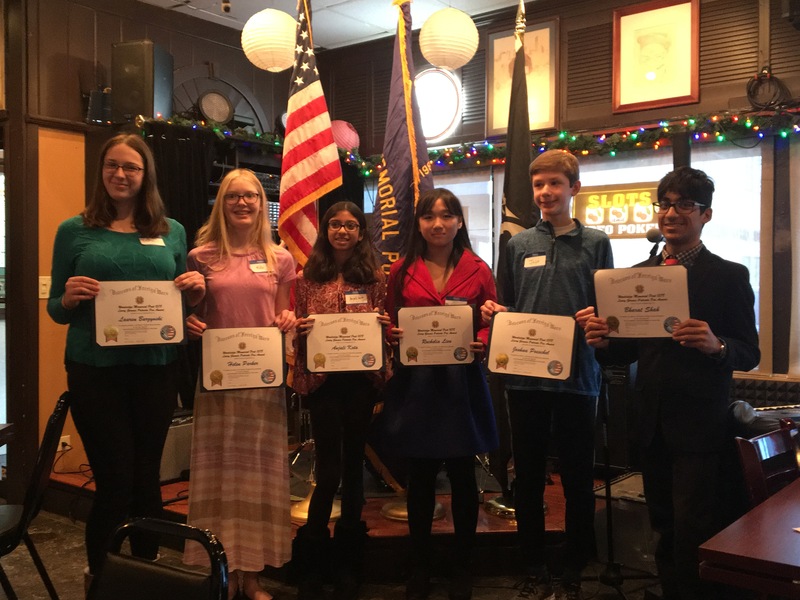 So on Sunday, January 13th, Post 1578 held our own Patriot’s Pen Award Party at Shanahan’s! Our winner from St. Scholastica is Ruchelia Lieu, with a score of 95%. Based on these scores, our Post winner is Anjali Kota. Both she and Ruchelia received a $50 gift certificate. Our Post would like to thank our four judges: Bob Reichert, Ray Travis, Frank Mampreian and Marge Sucansky. We’d also like to thank the educators at St. Scholastica: Mr. Consentino and Mrs. Quinn, and the Social Studies staff at Jefferson: Mrs. Andresen, Mrs. Borrowdale, Mr. Cummings, Mrs. Farsalas, Mrs. Slattery and Mr. Wechman. 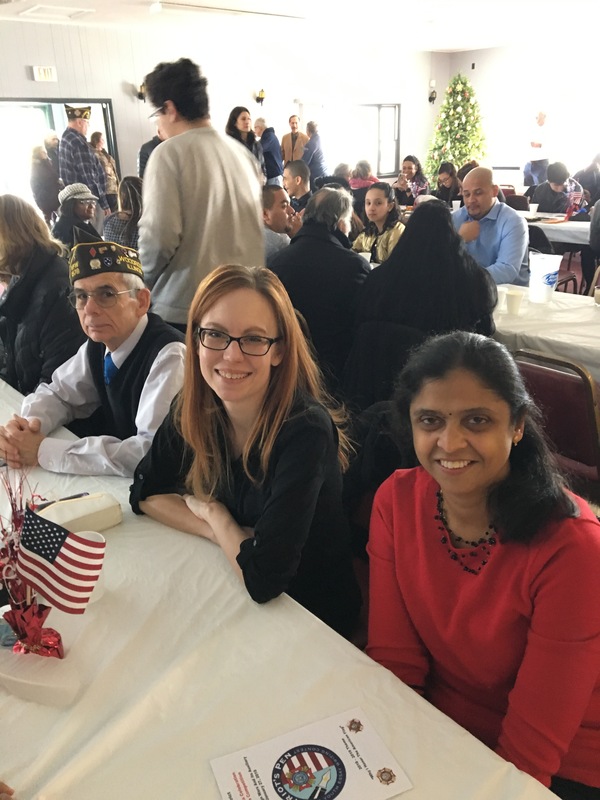 On Sunday, January 27th, VFW 19th District held their annual Patriot’s Pen Pizza Party. 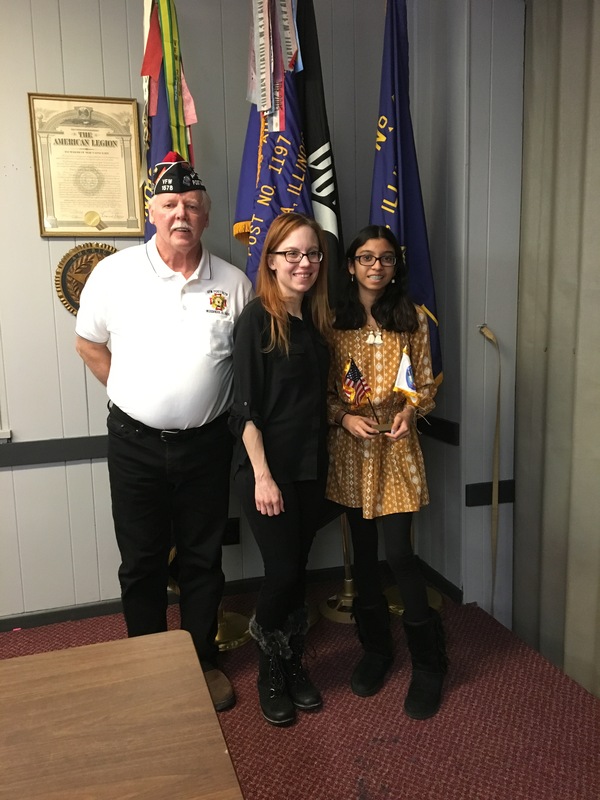 This year’s event was held at Batavia Overseas Post 1197. Our Post winner, Anjali Kota, was one of 24 other Post winners in attendance. Bob Reichert and Frank Mampreian represented our Post. 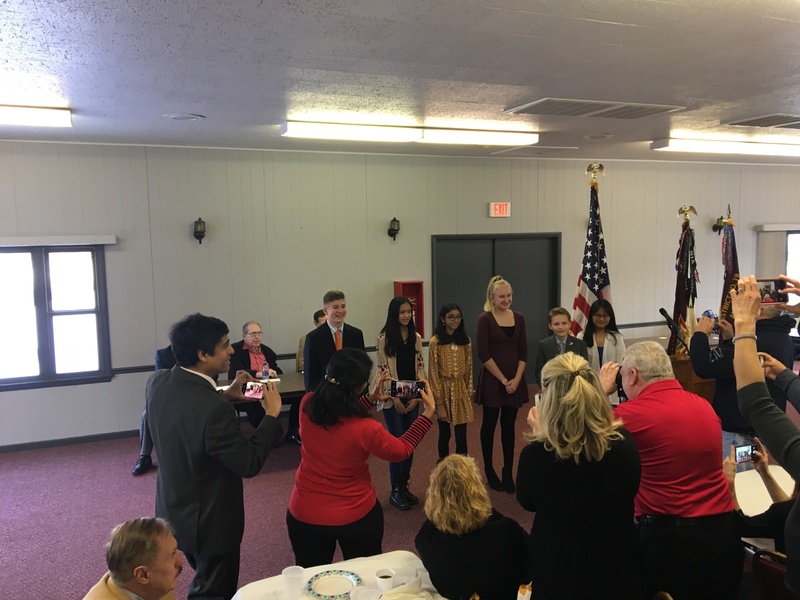 Anjali brought her parents, younger brother and teacher, Mrs. Borrowdale. 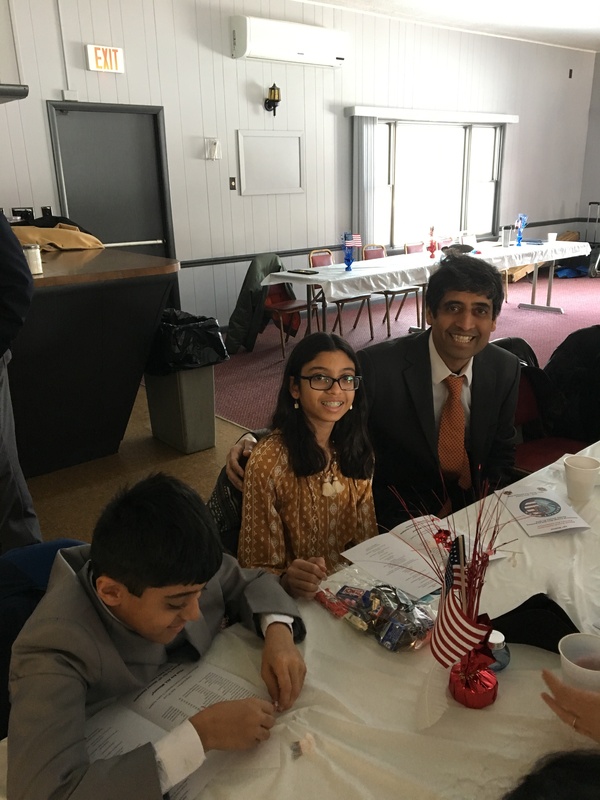 With over 2,200 participants in the 19th District, Anjali placed 3rd overall. 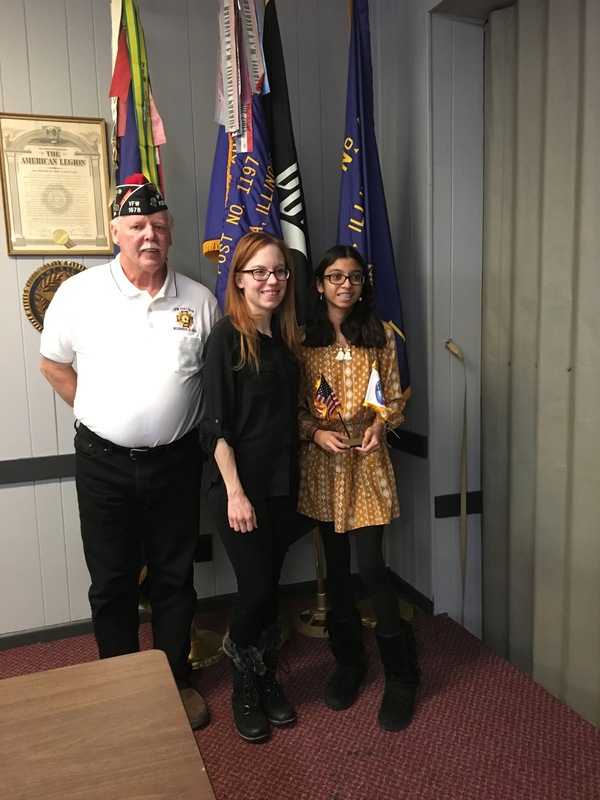 She was awarded another Certificate, a Flag Desk set and $200.00!